Petzl ERGO. Technical ice axe. 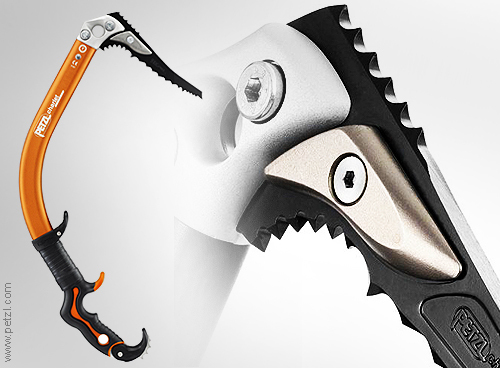 The ERGO is the ultimate modular tool for the most difficult dry tooling pitches and unlikely ice columns. The ultra-curved shaft offers exceptional clearance under the head and allows a wider repertoire of movement. The adjustable ergonomic handle allows multiple grip positions and limits the risk of pick shift when switching hands. The strong curve of the handle creates an ideal angle for prolonged suspensions and significantly increases power when pulling. There is a third adjustable handle with Trigrest hand rest for climbing even higher or for switching hands more easily. About Petzl: An Introduction to the company. Where I can buy this tools?